ESL Shipping’s LNG-powered, extremely energy efficient dry cargo vessel Haaga was successfully launched today at the Jinling Shipyard and moved to the outfitting quay. Sister vessel Viikki was launched at the end of August and the work has progressed as expected at the outfitting quay. Haaga and its sister vessel Viikki are first LNG-powered handy-size bulk carriers in the world. 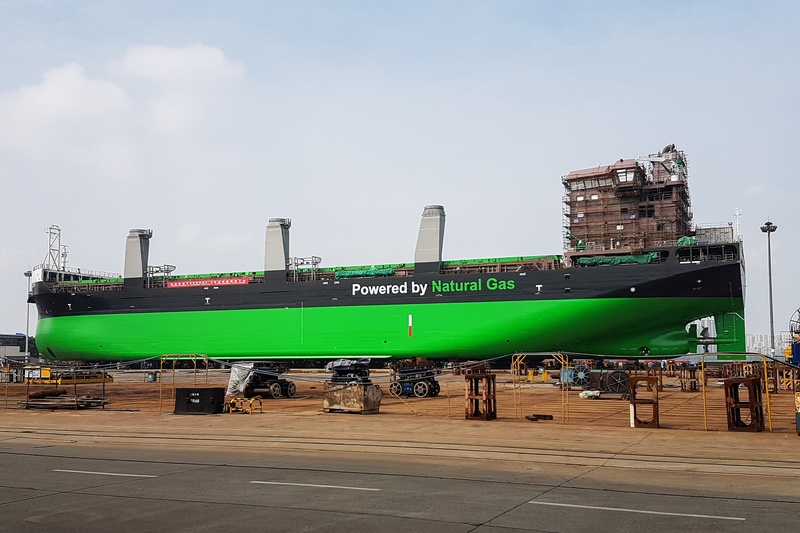 The 160-meter vessels of 25,600 dwt fueled by liquefied natural gas produces more than 50 percent lower carbon dioxide emissions than vessels of the previous generation. They will start operating on the Baltic Sea during the first half of 2018. Fact sheet of the environmental-friendly solutions of the vessels (pdf). More information about the new vessels is available here. This construction project is part of the Bothnia Bulk project, co-funded partly by the EU. Its objective is to modernize the sea route between Luleå, Oxelösund and Raahe to be more eco-friendly. Read more here. 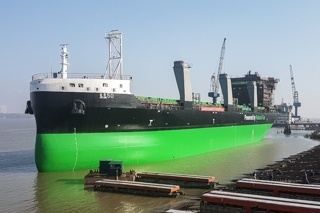 ESL Shipping, part of Aspo Plc, is the leading carrier of dry bulk in the Baltic Sea. ESL Shipping ensures raw material transport for steel, energy and chemical industries year round in difficult ice and weather conditions. Special services include topping-off and lightering of large ocean carriers at sea. The company’s fleet consists of 14 units and the annual transport volume amounted to 10,7 million tons in 2016.